The Women's Refuge Pant is a safe haven in a storm, delivering waterproof protection without neglecting airflow and breathability. Showers Pass designed these pants using Elite™, a 3-layer hardshell fabric that's impervious to rain showers, yet allows moisture to wick as you exercise. Fully taped seams prevent leaks on long rides, and they've added strategic thigh vents and a perforated seat to further ventilation when it's needed, without sacrificing wet weather protection. Additional touches like fully articulated knees, water resistant ankle zippers, and hook and loop ankle straps deliver an unrestricted pedal stroke, easy on/off over shoes, and to keep excess material away from your chain. Suspender compatibility, an easy-access thigh pocket, and extensive reflectivity make the Refuge an ideal option for all types of riding, from the daily commute to the weekend excursion. The Women's Refuge Pants feature a women-specific cut that's designed to be worn over street clothes or cycling clothes. They're available in Graphite. Waist 24" 26" 28" 30"-0" 33" 36"
Hips 34" 36" 38" 42" 45" 49"
Inseam 31" 32" 32½" 33" 33" 33"
Biking home one evening in a downpour and after my rain pants failed, I found these and bought them. I use them almost daily (winter in the PNW) to commute and I love the quality and fit of these (femaie, 5'6 and 120 pounds, i bought the small). 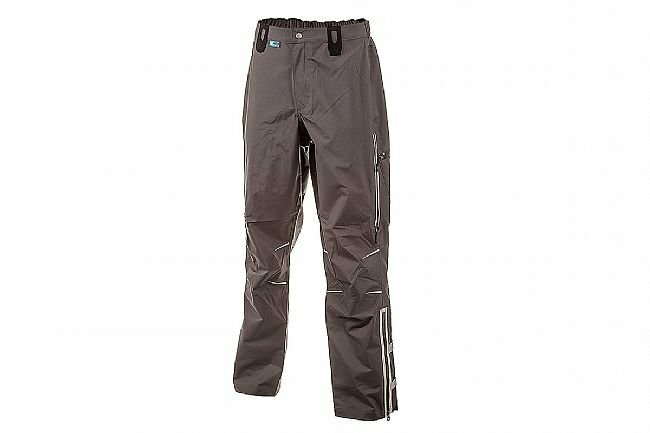 It's the details on these pants that make it amazing - the smooth zipper action, the perfectly located pocket that opens up horizontally (useful when you're biking and want to reach for a snack or cell phone), the ability to cinch the pant legs tighter if needed and the reflective material. I bike daily and am very happy with this purchase. 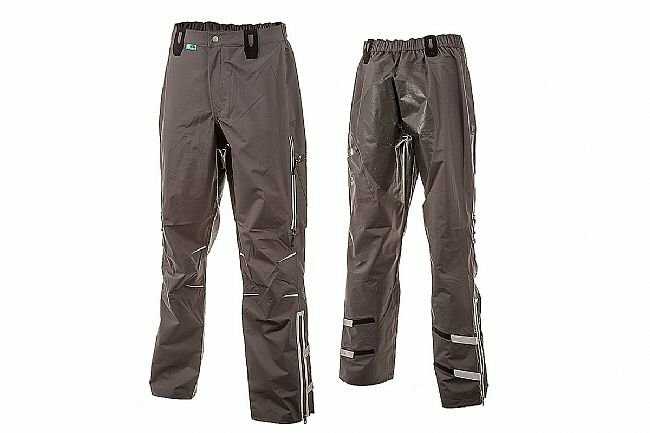 Pants look nice, are very waterproof and are very visible. However, they are already showing wear in the right rear panel where there is reinforcement. For a $200 price tag, I expect them to last at least a couple years. I'm lucky to get a year out of them at this rate.